The popularity of teenage ‘dark fantasy’ novels have been causing an explosion of vamp-related media over the past few years, and the genre keeps bubbling over in Japan. If tales such as Vampire Knight have left you wanting more, here’s another dollop of blood on the dinner table. 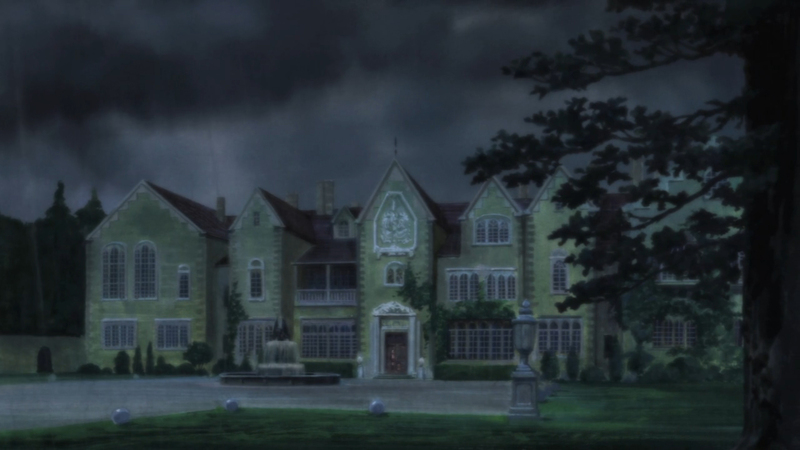 Diabolik Lovers sets the scene of a young maiden sent off by a family member to live in an old European style mansion. Inside dwell a group of young, slavering, hormonal teenage vampire boys, all dying to sink their teeth into our young maiden. While we don’t get to see much of the world at large, the mansion as a setting is quite well constructed, giving off hints of both French and British themes, with plentiful rooms, grand staircases, a rose garden and even a sewer. The tone is kept dark and gothic, cornering the mansion away from the outside modern world and making you feel like you are actually seeing something in the past. This sets things up to be looking quite good – there’s a lot of things you can do in a spooky mansion (even if they have all been done before), but the show’s format sadly does not live up to it. The anime is adapted from a Japanese visual novel of the same name, which presents a reverse harem scenario that girls can well, draw blood out of themselves on. These types of visual novels are the same as the harem ones for guys, just adapted to suit a female target audience – which means a host of smexy boys and a central female character that the player can cast themselves onto. 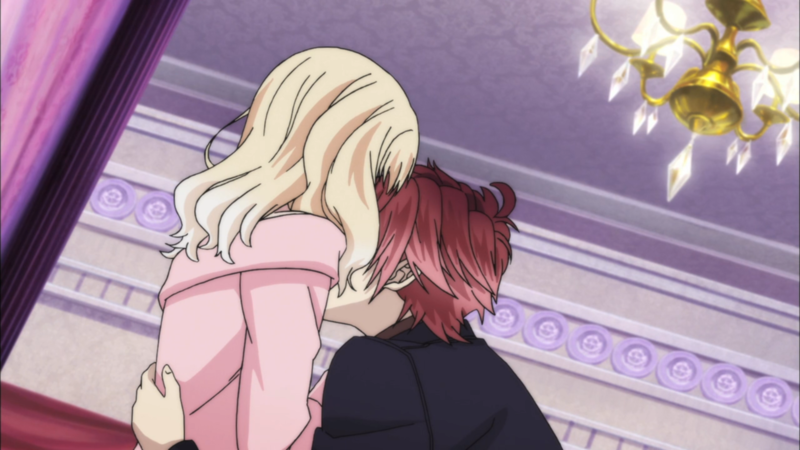 There have been a few anime adaptations of these games in recent years, but sadly they have never really been very good, and Diabolik Lovers seems to follow suit and take its name to heart. The protagonist, Yui, is a very weak lead whose sole existence is to get exploited at every turn in order to provide some pseudo-sexual fanservice, while each of her vampire ‘rapists’ follow the same typecast pattern seen in similar harem anime and visual novels. Shu is the rebellious teen, Reiji is the intelligent one, Ayato is the bully, Kanato is the child, Raito is the insane one, and Subaru fits the tsundere stereotype. The boys take their turn at the girl, presenting us with at least one blood sucking scene per episode. You can get our kicks out of it, but there’s no sense of any realism, particularly when they speak while their mouths are stuffed full of Yui’s neck. This continual abuse doesn’t seem to have any effect on Yui’s character, as she goes down moaning and crying to each of them. Despite this, in a plot point where she has the opportunity to leave the mansion, she instead decides to stay in a rather bizarre change of mind. Surely if you were been used in such a way you’d take every opportunity you could to escape? However, the incident allows the writers to throw in some sort of plot for the final couple of episodes, which works a lot better than the vampire-of-the-week approach, and you have to think that the show may have actually had something interesting up its sleeve if it had taken this route from episode one. 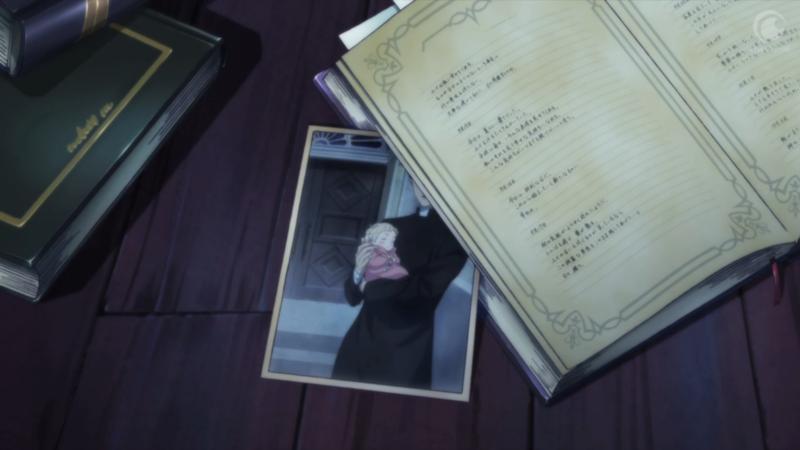 There’s also a sub-plot concerning Yui’s father that is set up very early on, but there’s very little exploration into it, leaving the only reason for Yui being at the mansion as being a sacrifice, and giving the audience no clue as to what her father’s relationship with the vampires actually is. It’s a hollow, shallow and pitiful existence for both Yui and the anime itself, serving up mindless entertainment for those who enjoy watching a girl get pseudo-raped by a bunch of vampires. And that’s diabolical, to say the least.